Of course, I took the opportunity to get in some gaming with several portable games like Cockroach Poker, For Sale, No Thanks, Mow and Battle Line. However, I also I decided to start 2 new boardgaming world records which will be hosted 0n this site which anyone can enter and compete for. 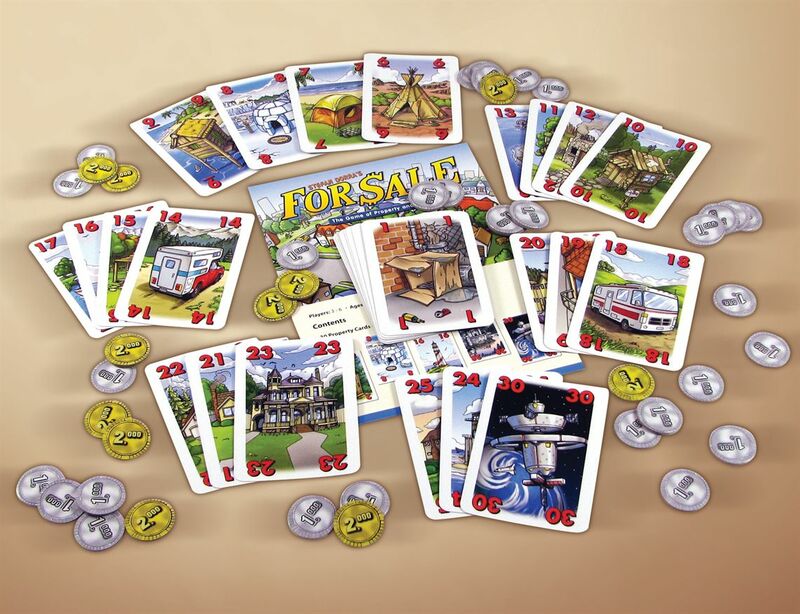 For $ale is a fast and light auction game for 3 to 6 players with an excellent difference. The game primarily consists of two decks of cards: One deck of properties and the other of cheques. Each property card has a value ranging from 1 to 30 and the higher the value the nicer the property pictured on the card, i.e. 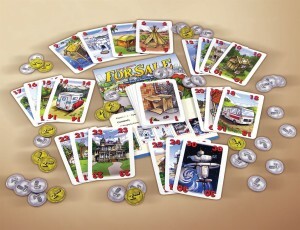 the value 1 card shows a cardboard box, value 10 shows a basic log cabin, value 29 is a castle. Each cheque card has a value ranging from zero to $15,000. 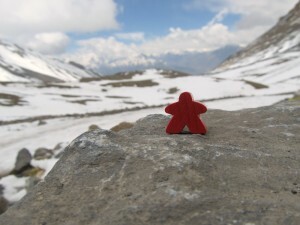 In addition, there are some cardboard tokens which are cash and each player starts with $18,00.